There’s a weird thing that happens with dog food: humans try to impose their weird fad diets onto their dog’s food. As a result, some dogs end up eating food that’s really not right for them. Before you freak, I’m not saying grain-free diets are bad. I’m just saying you may not need it. That said, there are plenty of really great ones out there, and finding the best grain-free dog food may be a great option for your specific dog. I just want to make sure you know the facts and have some good, specific product recommendations to go on. So check it out, and leave me a comment if you have any questions! 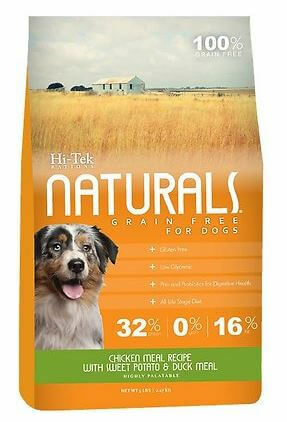 Grain free foods for dogs have seen a sharp increase in popularity in the last couple of years. From my point of view, it’s corresponded pretty obviously with low-carb and “caveman” diets that are popular for humans. In other words, it’s very possible that these types of dog foods are more of a response to nutritional trends in the realm of people than they are to the actual nutritional needs of canine dogs. That said, there are plenty of proponents of grain-free diets for dogs out there, and there really are some amazing grain-free dog foods you can buy. In a nutshell, though, grain free food for dogs is pretty much exactly what it sounds like: a dog food recipe that forgoes grains and instead includes stuff like potatoes, sweet potatoes, tapioca, or peas to make up the carbohydrates lost from omitting grains. These foods tend to be higher in protein and lower in carbohydrates, and many of them also include more natural ingredients than foods from bigger commercial companies. 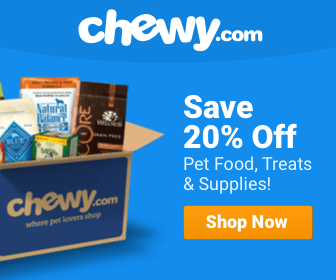 Does My Dog Need The Best Grain Free Dog Food? 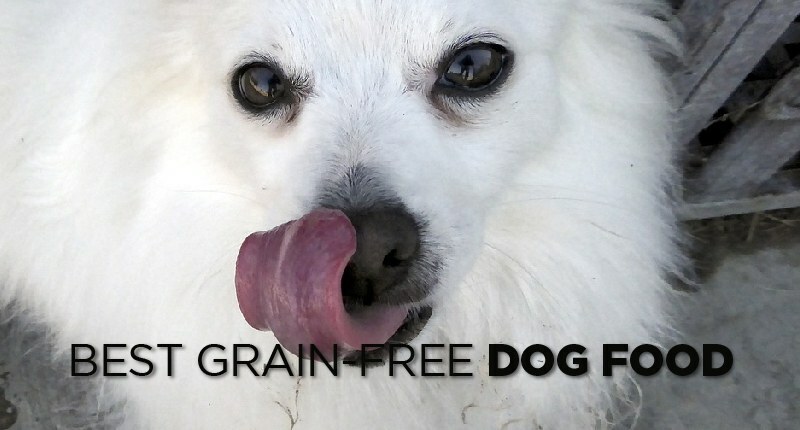 There are a few reasons people advocate for grain free diets for dogs. First, some dogs are prone to allergies. There are lots of different things that can cause allergies in dogs, and there are plenty of foods that can act as allergens—even relatively “normal” ingredients like chicken and fish can trigger reactions in some dogs. According to Drs. Foster and Smith from Peteducation.com, grains can also be a common allergen. So, adopting a grain free diet can be one of the steps in finding a good dog food for a dog with lots of allergies. Another (and, in my opinion, more “out there”) reason for grain-free advocacy is the contention that grains are more difficult to digest and that digestive systems did not evolve to handle grains. I couldn’t find any substantial scientific evidence of this, and it’s been well-proven that the digestive systems of both humans and dogs have evolved to digest grains perfectly well. So I’m not sold on this one, but please do let me know if there’s a convincing study you know of. That said, there are many grain free dog foods that are absolutely excellent. I’ve bought them, and I’ve fed them to our dog. Lots of them have great ingredients and are made by great brands. 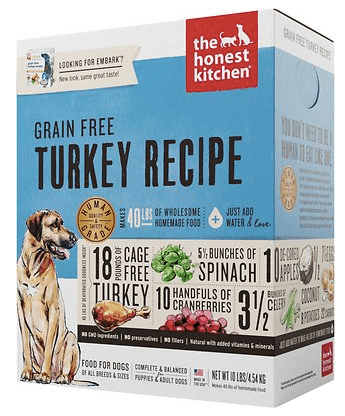 The Honest Kitchen, in my view, is one of the better dog food brands out there. Their formulas contain remarkably few ingredients, they use very few chemicals, and they tend to stay away from any ingredients that are even remotely controversial. Really, I can’t figure out why people don’t buy more of this stuff (or maybe they do, and I just don’t know them!). Anyway, this particular formula is very good, and it contains excellent ingredients. The protein source here is cage-free USDA turkey, which makes it a good choice for anyone worried about ethically sourced meat. The second ingredient is flaxseed, which is something you don’t see very often. This provides lots of awesome fats and plenty of omega fatty acids. The rest of the main ingredients come almost entirely from plants: celery, spinach, carrots, organic coconut, apples, organic kelp, eggs, bananas, and cranberries. All in all, the ingredient label is about one fifth the length of almost any other dog food label, which counts for a lot, I think. If you’re looking for quality grain free dog food, this is probably a good place to start. One of the best litmus tests for a dog food, I think, is just to read the first couple lines of ingredients and see how many you can recognize. 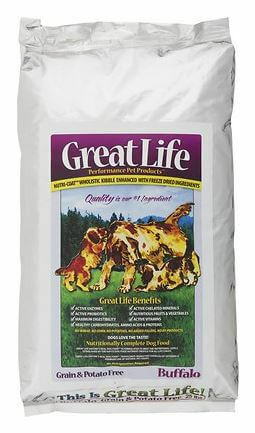 If you go by that, Great Life’s grain free formula gets really strong marks. Here are the main ingredients (the veggies are freeze-dried): chicken, tapioca, jicama, chicken liver, pumpkin, squash, parsley, papaya, chia seed, kale sprouts, and broccoli sprouts. It also includes yams, blueberries, cranberries, artichoke, and rosemary. Wow, right?! That’s just a boatload of great ingredients. So, yea, this is a very high-quality dog food with a very robust nutritional profile. The only thing we’d like to see more of would be omega fatty acids. There is some wild salmon oil here, but it’s a fairly small amount. Other than that, it’s a great one. This is another one I like. Our pup hasn’t had much Hi-Tek dog food, but the few samples we’ve given her disappeared pretty much instantly, so they have her seal of approval on the taste front. From a technical standpoint, I’m a big fan of the nutritional profile here. The first six ingredients are chicken meal, sweet potatoes, potatoes, pork meal, and eggs. Just a bunch of meat and potatoes. That’s pretty hearty. Of course, you guys know me: I don’t like to recommend too many dog foods that don’t have plenty of plants in this. And this one does. It’s got tomatoes, blueberries, and raspberries. Those are great, but we would like to see a few more leafy greens. Overall, though, this is a strong recipe, and we recommend it. This is a strong grain free dog food that gets high marks for its high protein content (about 43%) that comes from lots of great sources: deboned duck, turkey meal, lamb meal, and salmon meal. The carbohydrates come from sweet potatoes, which is one of our favorite sources of carbohydrates, as well as from peas and white potatoes. The produce profile is also pretty good, including bananas, carrots, apples, cranberries, and blueberries, although it could stand to include a few more leafy greens. 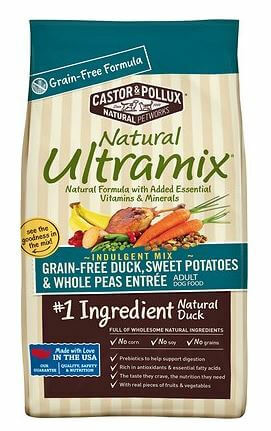 Still, if you’re looking for a quality grain-free dog food this is a pretty good one. This article tickle your fancy? Well, in that case, you might like our other articles like foods for hypoallergenic dogs, dogs with sensitive stomach and dog bones.